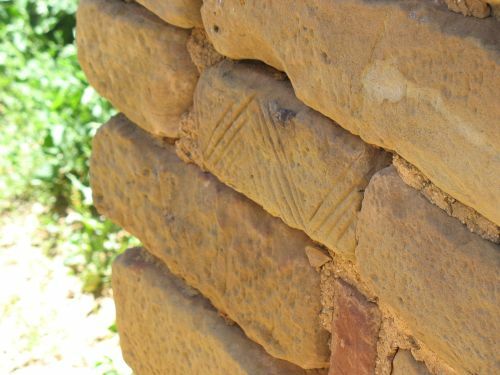 One of the most distinctive things about Chaco, compared to other prehistoric settlements in the northern Southwest, is its stability and longevity. While most earlier (and, for that matter, later) villages were apparently only occupied for one or two generations, Chaco was a major center for at least 300 years, and may have been occupied at a lower level of population for another hundred or so years after the end of its regional centrality. Despite the apparent importance of this fact, however, it has received curiously little explicit attention in the scholarly literature on Chaco. 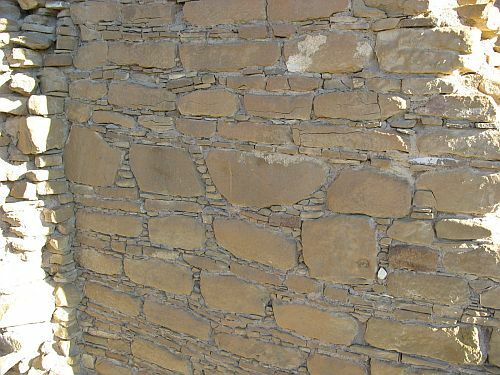 This is probably because the stability of Chaco is easy to see but very difficult to explain. Any explanation will necessarily have to exist within a particular interpretation of what Chaco was, and given the enormous amount of dispute over that and the number of competing theories it’s hardly surprising that Chaco specialists have spent most of their time coming up with theories and arguing with each other, which has left little time for using those theories to specifically address the issue of stability. That is, all theories that have been proposed to explain Chaco contain implicit explanations for its stability, but explications of those theories very rarely address stability explicitly. To some extent the explanation for Chaco’s stability depends on the exact nature of the Chaco system and the role of Chaco itself within it, which is a topic of considerable dispute among archaeologists, but there are also some more general factors that probably played a role in the unusual stability of Chaco. The most important is probably the environment. The details are still a bit unclear, but it does seem from extensive research on the ancient climate that the rise of Chaco coincided with a period of unusually wet conditions that made farming more productive and reliable than it had been before in the arid Southwest. This would have made the accumulation of agricultural surplus easier than it had been before, which would in turn have increased the power and prestige of areas that were able to accumulate surpluses. This still doesn’t explain why Chaco specifically became so large and important for so long, since it’s not in a very productive agricultural area even by southwestern standards, but it may in part have just been a matter of fortuitous circumstance: Chaco happened to be where people were starting to gather, after leaving their earlier settlements elsewhere, when conditions improved and they were able to stay there longer than had been possible in other places before. Another important factor was probably trade. Chaco isn’t in a very good place to farm, but it is located in a strategic position between the productive agricultural areas further north and the mountainous areas further south, each of which may have produced things the other may have needed. It’s not clear how much trade there was in things like agricultural products, which are rather difficult to transport over long distances without pack animals, but there was certainly a considerable amount of trade in pottery and valuable goods like turquoise, and Chaco is particularly known for the amount of material found there that originated elsewhere. Some theories have posited that Chaco was a center for redistribution of goods, but there isn’t much direct evidence for this and it’s hard to determine how much stuff passed through Chaco on the way to somewhere else (because that stuff wouldn’t have left any evidence of ever having been at Chaco). What is clear, though, is that whether or not substantial amounts of trade goods passed through Chaco, an enormous amount of important material came into Chaco and stayed there. Turquoise is the best known example, but there were a lot of other things too, including exotic goods like copper bells and macaws brought up from Mexico. Whether from agricultural surplus or from trade, then, or possibly from both, Chaco was clearly a very wealthy place at its height, and it was probably that wealth that allowed it to last so long when other settlements had been so transient. Favorable environmental conditions probably played a role in the ability of Chaco to accrue that wealth, but not necessarily in a straightforward way. There may also have been other political, cultural, or religious factors that contributed to Chaco’s staying power. One thing that’s interesting to note is that while Chaco did last a long time, its end seems to have come pretty rapidly. Large-scale construction seems to have ended abruptly around AD 1130, and while a reduced population does seem to have remained in (or possibly returned to) the canyon until 1250 or so, the bulk of the population seems to have left for other settlements that ended up being occupied for much shorter periods. That is, Chaco was occupied much longer than earlier settlements, but also much longer than most later settlements. The fact that environmental conditions seem to have deteriorated as much at the end of the Chacoan era as they had improved at the beginning reinforces the impression that there’s some sort of relationship there. What Does It Mean to Be Navajo? The Park Service’s finding that the Navajos are “affiliated” with Chaco under NAGPRA is based on the fact that the Gambler story exists, not the idea that it’s true. While there may or may not be a kernel of historical truth to the story, the versions that have been recorded all contain enormous amounts of material that is clearly and obviously mythical. 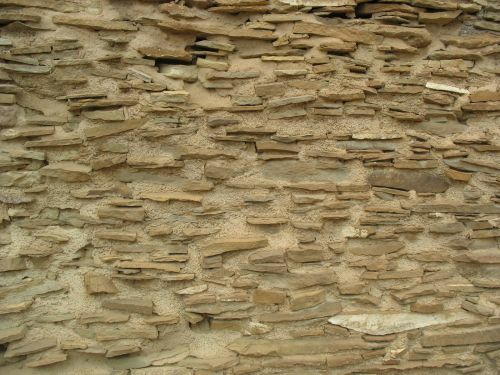 However, the consistency of the accounts, and the strong association with Chaco Canyon and specific locations within it that they tend to share, imply a level of connection to Chaco shared by all Navajos that (along with other traditions) the NPS found sufficient to support a finding of affiliation. John Stein and Taft Blackhorse, however, are claiming that the Gambler story actually is true. That’s the crazy part. While, again, there may or may not be some truth hidden somewhere in the story, the specific interpretations they use and the conclusions they present are almost certainly wrong. 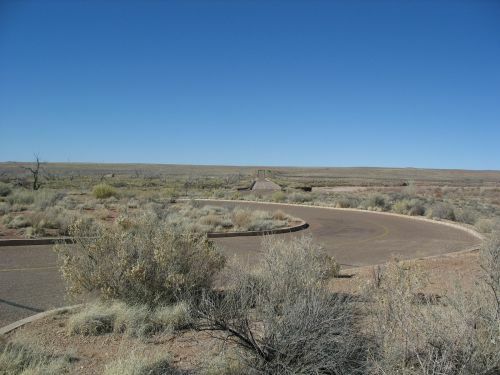 They’re starting from a widespread tradition that most Navajos probably believe in some sense, interpreting it in an idiosyncratic way, using that interpretation to shape the way they understand and present the archaeological fieldwork they do, and ending up with an account of southwestern prehistory that hardly anyone finds credible. It is true, as I just mentioned, that most traditional Navajos probably do believe that some version of the Gambler story is true. This doesn’t necessarily mean, however, that they or the Navajo Nation in its official capacity believe the version that John and Taft are presenting. That version is unusual, at least the way they present it, in focusing on the presence of Navajos and downplaying the presence of Puebloans, even though they do admit that presence. Most versions of the story that have been recorded present most of the characters in the story as Pueblo, with the Navajos certainly being present but in a more subsidiary role. I don’t know if John and Taft ever explicitly argue that most of the characters in the story are Navajo, but that’s certainly the implication of the way they present their theories and contrast them with the archaeological consensus that the Chacoans were all Pueblo. 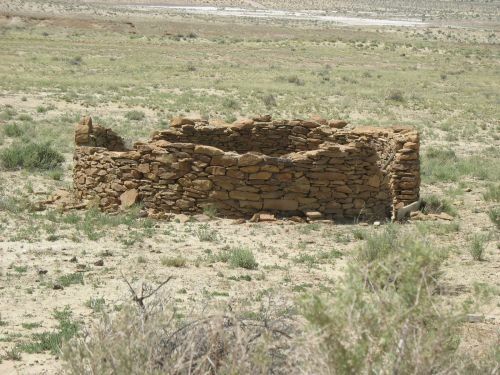 Leaving aside the whole issue of the Gambler story, however, there are a lot of other Navajo traditions involving Navajo connections to Anasazi sites, including Chaco, that are nowhere near as crazy as what John and Taft are saying. These mostly involve the origin stories of specific clans, some of which claim Anasazi ancestry and refer to origins at specific ancient sites, and others of which do not claim Anasazi ancestry but do refer to contact between the early members of the clan and various Anasazi groups. These traditions don’t get as much attention as the flashier stories like the Gambler one, partly because they are traditionally not supposed to be told to outsiders at all. 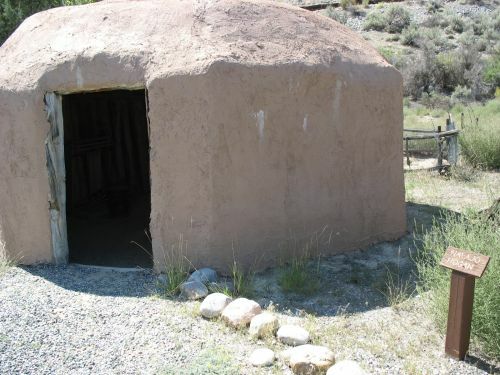 If Navajo oral traditions can be used as evidence of Navajo connections to Anasazi sites, which I would say is still an open question, these are the traditions that are likely to be most reliable. The Navajo Nation’s official position, and the Park Service’s finding of affiliation, rely on these traditions at least as much as on the Gambler story in supporting claims of Navajo affiliation to Chaco. Therefore, while Keith’s article is certainly interesting and well-done, it really only skirts the edges of the major issue of cultural affiliation. Claims of Navajo affiliation with Chaco and other Anasazi sites do rest pretty much exclusively on oral tradition, but they don’t rest at all on the speculative theories John Stein and Taft Blackhorse have built out of that tradition. That’s basically the argument I was making in the last post. I recognize that so far, both in that post and in this one, I’ve just been asserting all this without backing it up beyond vague reference to published sources. That might do in an academic context, but here we’re talking about journalism, so I figure it’s incumbent upon me to support what I’m saying with some quotes. “Cultural affiliation” means that there is a relationship of shared group identity which can be reasonably traced historically or prehistorically between a present day Indian tribe or Native Hawaiian organization and an identifiable earlier group. A finding of cultural affiliation should be based upon an overall evaluation of the totality of the circumstances and evidence pertaining to the connection between the claimant and the material being claimed and should not be precluded solely because of some gaps in the record. cultural patrimony must be established by using the following types of evidence: Geographical, kinship, biological, archeological, anthropological, linguistic, folklore, oral tradition, historical, or other relevant information or expert opinion. 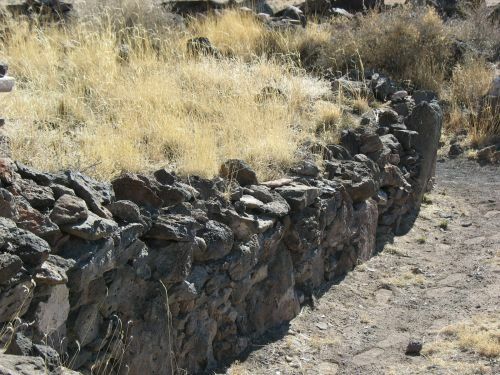 Lineal descent of a present-day individual from an earlier individual and cultural affiliation of a present-day Indian tribe or Native Hawaiian organization to human remains, funerary objects, sacred objects, or objects of cultural patrimony must be established by a preponderance of the evidence. Claimants do not have to establish cultural affiliation with scientific certainty. 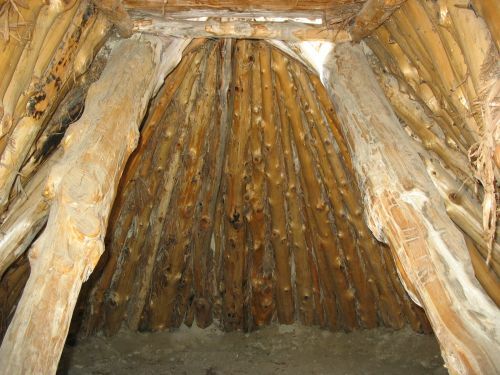 The effect of these standards is to make it considerably easier for claimants to establish cultural affiliation, which is a reasonable thing to do given that a lot of tribes would have a hard time finding enough documentation to conclusively prove a connection to an ancestral site. When it comes to Chaco these standards still seem to advantage the Pueblos more than the Navajos, but they leave enough room for a plausible claim that a “preponderance of the evidence” suggests that the Navajos have “a relationship of shared group identity” with the Chacoans. Note that it’s a bit vague on how “group” is to be interpreted. Does it mean the Navajos have to show that the Navajo Nation as a whole is the lineal descendant of the political or cultural unit represented by Chaco? It could be read that way, but the explanations of the standard of proof seem to imply that there are other ways to read it that are to be preferred. expert opinion, geographical, historical, kinship, linguistic, and oral tradition sources were considered in determining the cultural affiliation of the above listed human remains and associated funerary objects. That sounds about right, given the NPS guidelines I quoted above. So what conclusions did these criteria lead to? 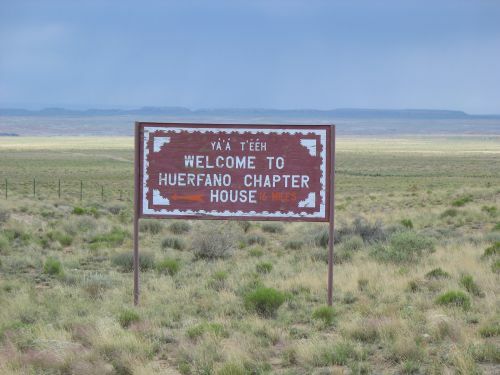 Anthropological literature supports the view of many Puebloan communities that the San Juan region, which includes Chaco Culture NHP, belongs to their common ancestral cultural heritage. Archeological evidence indicates that Puebloan people were in Chaco Canyon since at least the Basketmaker period (ca. A.D. 1) and, therefore, supports the affiliation of the above mentioned human remains and associated funerary objects with many modern Puebloan communities. 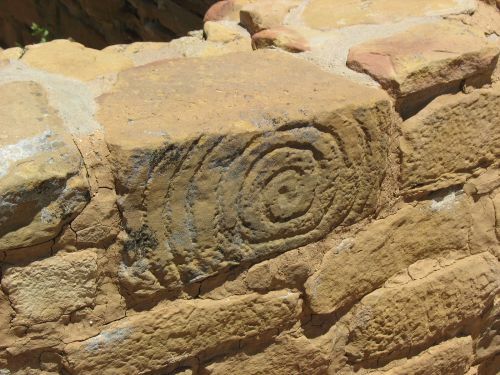 Continuities in architecture, ceramics, agricultural practices, food-processing technology, and rituals from Chaco Canyon’s prehistoric settlements, present-day Pueblos, and Hopi Tribe bolster claims of cultural affiliation by these communities. 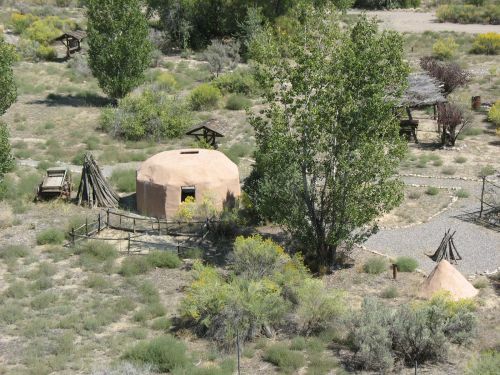 Furthermore, anthropological research indicates that many Puebloan peoples have additional bases for claiming cultural affiliation with the ancient residents of Chaco Canyon due to clan migrations, intermarriage, and the regrouping of communities over time. Linguistic evidence also suggests that modern Keresan speakers (Pueblos of Acoma, Cochiti, Laguna, San Felipe, Santa Ana, Santo Domingo, and Zia) originally occupied Chaco Canyon. Additionally, oral traditions specifically link the Pueblos of Acoma, Laguna, Zia, and Zuni, as well as the Hopi Tribe, to Chaco Canyon. 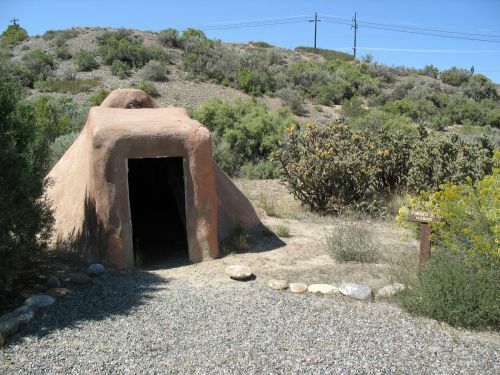 Furthermore, the Pueblos of Cochiti, Isleta, San Felipe, Santa Ana, and Santo Domingo have oral traditions that refer to “White House” as an ancestral place. Some anthropologists maintain that White House was located in Chaco Canyon. Tribal cultural specialists offered expert opinion to support the cultural affiliation of the Pueblos of Acoma, Cochiti, Isleta, Laguna, Nambe, Picturis, Poaque, San Felipe, San Juan, Sandia, Santa Ana, Taos, Tesuque, Zia and Zuni, and the Hopi the Tribe, to Chaco Canyon. 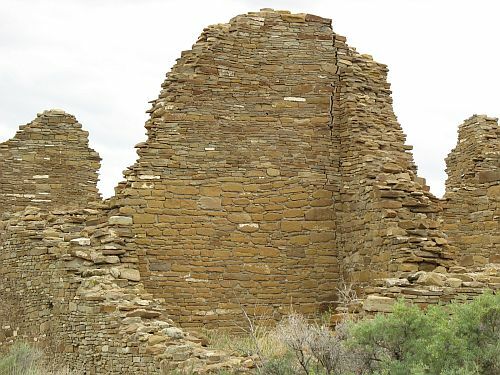 Similar expert testimony provided by the Jicarilla Apache Tribe, Pueblo of Jemez, and the Ysleta Del Sur Pueblo indicated that these three communities are not culturally affiliated with Chaco Canyon. Makes sense. As I noted above, the guidelines definitely suggest that the Pueblos would have a strong claim to affiliation based on cultural continuity. The three groups that apparently claimed not to be affiliated are interesting too. 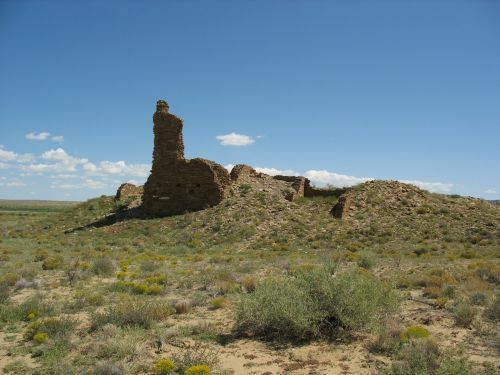 The Jicarilla Apaches were in southeastern Colorado at the time of European contact, so it’s hardly surprising that they don’t have any connection to Chaco. 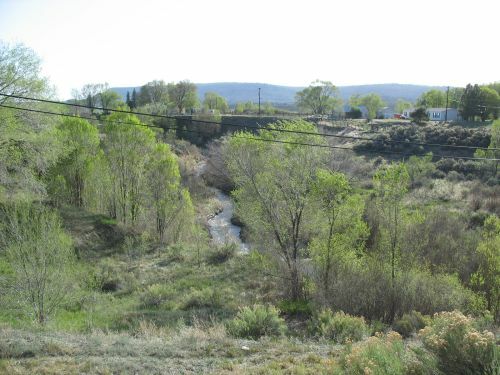 Ysleta del Sur is a community near El Paso, Texas descended from Southern Tiwa and Piro people from the Rio Grande valley who accompanied the Spanish when they retreated from New Mexico after the Pueblo Revolt in 1680. It’s a little odd that they wouldn’t claim affiliation but Isleta and Sandia, descended from the Southern Tiwas who stayed in New Mexico after the Revolt, would, but it’s not hard to imagine circumstances under which they would decide they don’t have anything to do with Chaco, which is quite distant from El Paso. The most interesting of the three is Jemez. Alone of all the New Mexico Pueblos, they seem to have actually argued that they don’t have any affiliation with Chaco despite being geographically closer to it than most. Jemez is one of the most conservative Pueblos and one of the ones least inclined to reveal anything about its traditions to outsiders, so it’s likely that the story behind this will remain untold. It’s certainly puzzling, though. In addition to the above listed Pueblos and the Hopi Tribe, the Navajo Nation was found to be culturally affiliated with the ancient residents of Chaco Canyon based upon similar sources of evidence. 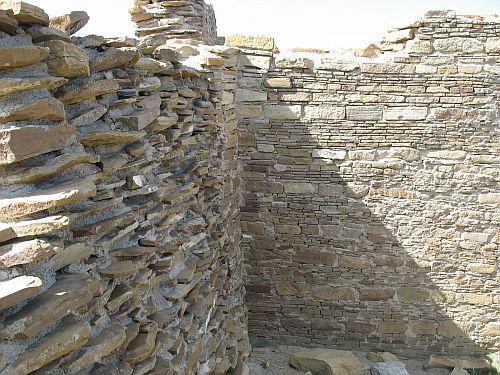 Anthropological sources indicate extensive intermarriage between Navajo and Puebloan peoples occurred, and that the Navajo have traditional ties to the natural and cultural resources of Chaco Canyon. Additionally, Pueblo cultural traits have been incorporated into Navajo cosmogony, ritual, and secular practices. 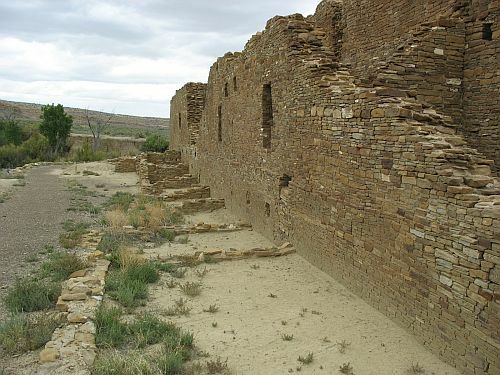 Historical evidence places the Navajo occupation of Chaco Canyon to at least the early 1700s until 1947. 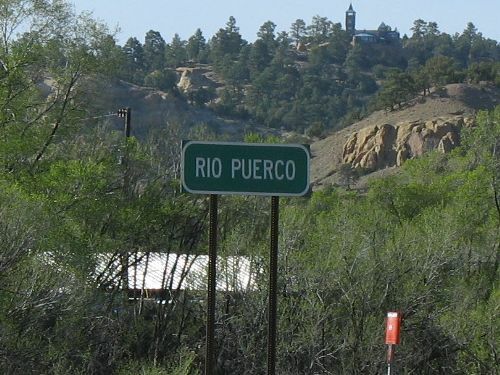 It is also known that after the Pueblo revolt of 1680, refugees from the Pueblos of Jemez, Santa Clara, San Felipe, San Ildefonso, Cochiti, and Zuni joined the Navajo and were incorporated into their clan system. During the same period, the Hopi of Awatovi joined the Navajo in the Chinle area. Geographically, Chaco Canyon is within the four sacred mountains that define Dinetah territory, and within the area of Navajo aboriginal use lands established by the Indian Claims Commission. 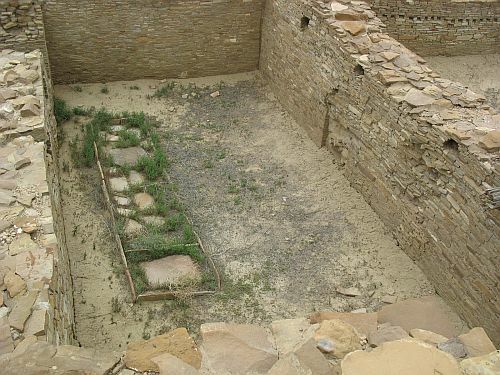 Oral traditions also link the Navajo to sites within Chaco Canyon such as Fajada Butte, Pueblo Alto, Pueblo Bonito, and Wijiji, as well as to the Chacoan sites of Kin Ya’a and Aztec. 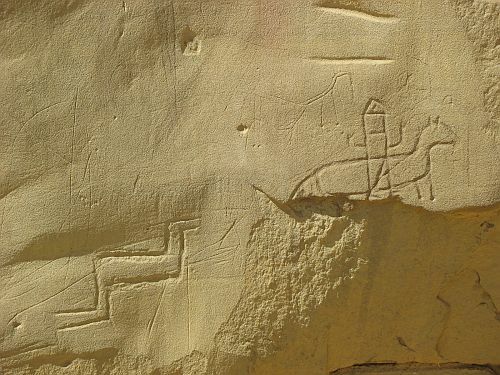 Finally, Navajo cultural specialists have also provided expert opinion affirming their cultural ties to Chaco Canyon. Navajo oral traditions link the Navajo people to sites within Chaco Canyon, and stories describe their ancestors interacting with the “Great Gambler” in Chaco Canyon when Puebloan people occupied the area. Today, of course, it’s pretty easy to say who is and who isn’t Navajo. 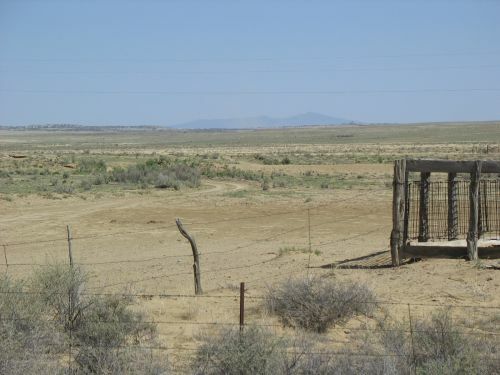 The Navajo Nation is a federally recognized tribe with a defined list of members. Politically, then, being Navajo just means being a member of the Navajo Nation. Culturally it’s also pretty easy to determine what it means to be Navajo today. 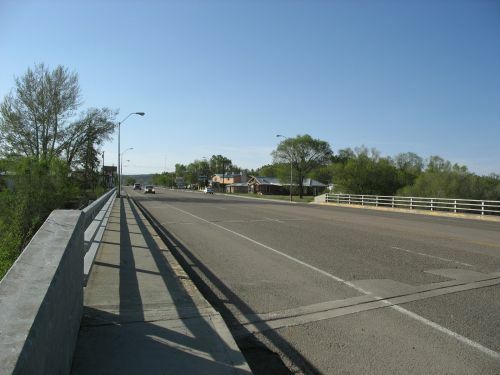 Traditional Navajo culture has been in decline for the past few decades as younger Navajos become more assimilated to mainstream American culture, but most of its key components are still in place to varying degrees, especially among older generations and in more rural parts of the reservation. This culture and its elements are quite easily distinguished from other indigenous cultures in the Southwest. 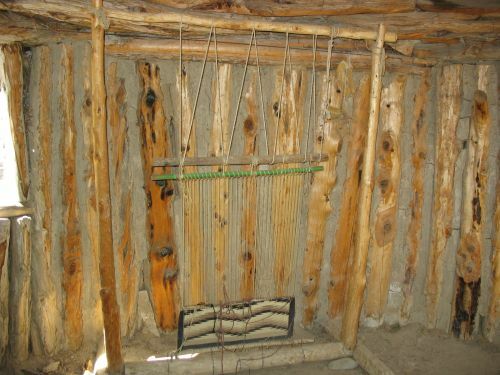 Navajo society is unique among southwestern tribes in being based on a pastoral sheep-herding economy, and many of its other distinctive characteristics originate in that economic system, including the importance of weaving and the settlement pattern based on scattered, highly mobile extended family residential units living in distinctive dwellings known as “hogans” and very low population density. Other aspects of Navajo society, such as the ceremonial system and the kinship system based on matrilineal clans, are shared with various other tribes, but the combination of all these features is distinctively Navajo. 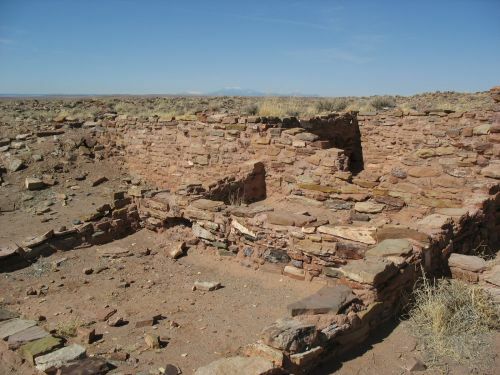 It’s thought that the ancestors of the modern Navajo didn’t even enter the Four Corners until about the 1500s, almost 300 years after Chaco was abandoned. 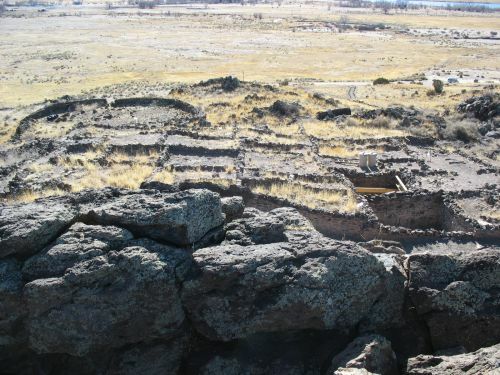 Archaeologists believe the Navajo adopted some Pueblo traits after their arrival in the Southwest. Following the Pueblo Revolt against the Spaniards in 1680, some Pueblo groups sought refuge with the Navajo. The two groups intermarried and their cultures became entwined to a certain extent. Stein and Blackhorse concede Navajo legends aren’t well represented in the archaeological record, but they counter by pointing out that there is a dearth of data on Navajo sites in general before the 1700s. 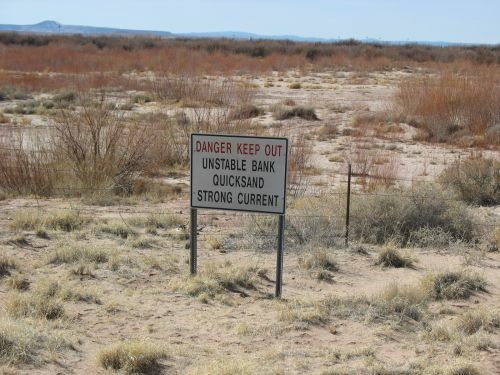 So the Navajo say that plenty of earlier sites may be there; they just haven’t been found yet. But that is no longer true. 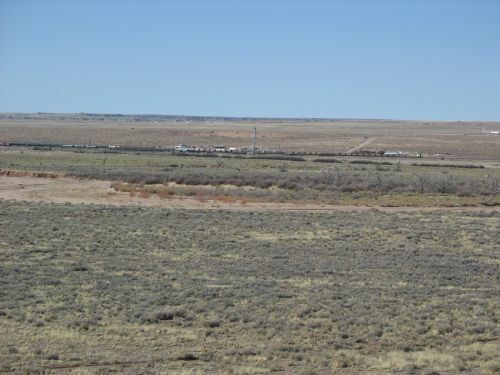 The massive Fruitland gas-drilling project that’s been underway since the late 1980s just outside Farmington, New Mexico, has uncovered thousands of new Navajo sites. 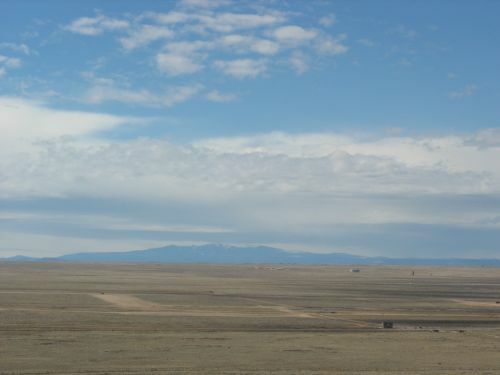 Richard Wilshusen, now an adjunct curator at the University of Colorado’s Natural History Museum in Boulder, was part of a research team investigating hundreds of these sites in the 1990s. 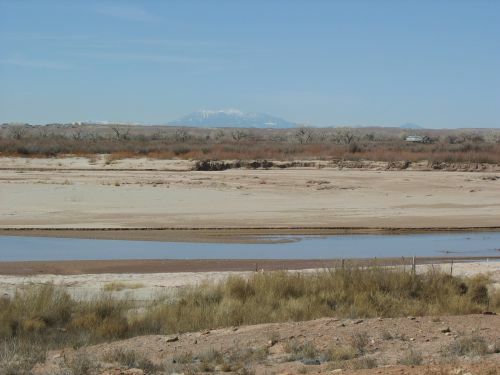 In a forthcoming study, he argues that a wealth of new archaeological data, combined with other lines of evidence, show that the Navajo didn’t emerge as a distinct cultural group until between 1600 and 1650, at least 100 years after scholars once thought. Okay, so here we’ve got Athapaskan-speakers living in wikiups entering the Southwest in the fifteenth century, and dividing into Navajo and (Plains) Apache a couple hundred years later. But where is Wilshusen getting these dates? 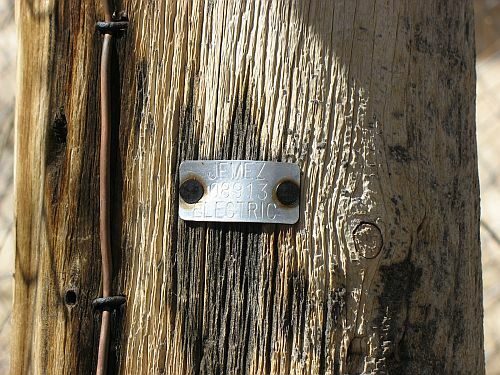 Out of thousands of sites identified during the Fruitland project, hundreds have been radiocarbon and tree-ring dated. 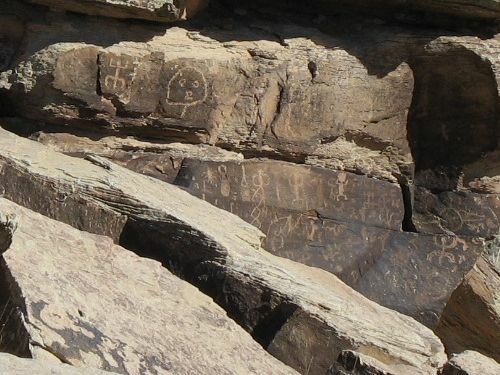 Wilshusen is able to use these dates to trace the development of Navajo culture. He notes an “architectural shift afoot” by 1600, when residential structures became bigger. 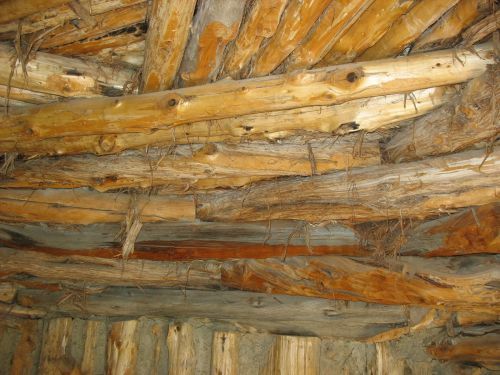 The most striking changes after 1650, he says, are the clustering of residential timber structures called forked-stick hogans, and the appearance of fortresslike pueblitos and a new polychrome pottery. It’s at this point, Wilshusen concludes, that the Navajo emerged as a distinct group. You know what would have been really, really helpful here? A mention of what the earliest dates actually are. Does Wilshusen actually have radiocarbon or tree-ring dates for wikiups in the 1400s? He presumably does have dates for the 1500s and the 1600s, since he notes a change “around 1600” involving the emergence of forked-stick hogans, pueblitos and pottery. 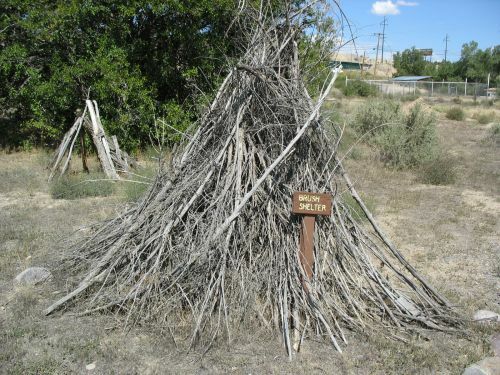 In any case, regardless of when these dates start, we do seem to have an answer here to what “Navajo” means in the early seventeenth century: forked-stick hogans, etc. This complex of traits does seem to be clearly ancestral to the “Athapaskan” elements of eighteenth-century Navajo culture, so fair enough. This does seem relevant to the question of Navajo ethnogenesis. Does it have anything to do with Navajo connections to the Anasazi, though? Well, no. Wilshusen may or may not be right about when and where the Navajo became “Navajo” and whether the Gathering of the Clans reflects this period (and there is actually quite a bit of evidence from Navajo oral history that is compatible with his ideas, as Keith notes), but the evidence he presents has nothing at all to do with anything that happened before 1450. Even if he does have dates on wikiups from the late fifteenth century, that doesn’t say anything about when Athapaskan-speaking people entered the Southwest. He seems to think it does, but it doesn’t. Why not? Well, one way to trace a migration in the archaeological record would be to look for similar sites, plausibly reflecting a single cultural group, over the area covered by the presumed migration, with earlier-dated sites occurring closer to the origin point and later-dated sites occurring closer to the end point. In this context, that might mean wikiups starting in Canada with dates around, I don’t know, maybe 1300, and a trail of similar wikiups further and further south, ending up on the San Juan in 1450. That’s not what Wilshusen has, though. He’s only looking at one small area, at the end of the presumed migration route. He sees wikiups appearing at 1450 (apparently) and presumes that, since there aren’t any earlier ones in the area, that this represents the appearance of this group in the Southwest. And maybe it does. But he doesn’t have any evidence that it does. What if the Athapaskans had just been hanging out in, say, Utah for a few hundred years, then moved into New Mexico? What if they had actually been in New Mexico for a few hundred years, and their wikiups from before 1450 just haven’t survived, being inherently flimsy (as Wilshusen himself says, these things are hard to see archaeologically)? What if they only started living in wikiups in 1450 and had been in the same area but living in some other sort of dwelling before that? What if they had, say, been living in pueblos? Now, I want to make it clear that I’m not arguing that any of these other explanations is correct. I don’t have any particular reason to think that. My point is just that Wilshusen doesn’t have any evidence for his argument either. And this is the crucial thing about the perennial question of the Athapaskan arrival in the Southwest: There just isn’t any evidence to show when or how it happened. That’s what John and Taft mean when they talk about a dearth of Navajo sites early on, and nothing Rich Wilshusen has found changes it. Migrations are just inherently difficult to see in the archaeological record. The key word in Keith’s discussion of Wilshusen’s work is “distinct.” It occurs several times (look back up at the block quotes above to see it). That is, what Wilshusen is saying is that the Navajo only became a distinct culture group between 1600 and 1650. But they, or their ancestors, existed before then. They just weren’t “Navajo” yet. But what does that mean? We’ve already established that it doesn’t mean what it means now. Wilshusen is arguing that it refers to a specific set of cultural traits that distinguished the Navajos from other Apaches. The only clear-cut continuity that I can see is the use of an Athapaskan language. So before 1600, there weren’t “Navajos” in the Southwest, but there were Athapaskan-speaking groups whose descendants would become the Navajos. And we still don’t know how long they had been there. For the Navajo, their relationship with the Anasazi is complex, and not all ceremonialists agree on its history or nature. It nonetheless is a critical component of Navajo ceremonialism and thus, according to Navajo tradition, is not to be openly discussed. 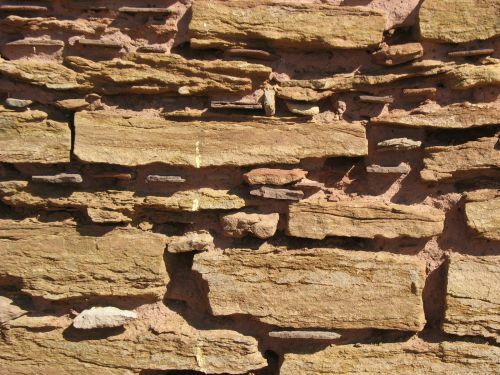 Although this stricture obtains among Navajo people, it is much more stringent with respect to conversation on the matter between Navajos and non-Navajos: non-Navajos are simply not privy to this information (in anything other than general summaries) in any context.To relate the history carelessly in an essay such as this, or indeed in any context, diminishes the power of the narrative, and thereby diminishes the core of Navajo belief and culture. are friendly and at other times hostile; sometimes people have intermarried and exchanged ceremonial knowledge, and at other times these interactions have been frowned on. Culture and interethnic or interclan relations are understood to be mutable. the coalition of what became identified as the Navajo. This is what the “Gathering of the Clans” means. It’s not so much a single event at a single, identifiable place and time, but a process of accretion, with various groups of diverse origins joining together over a long period of time to become the people we know today as Navajo. Some of these were presumably Athapaskan-speakers whose legacy was the Navajo language. Others came from the various historic Pueblos, and often maintained the name of their place of origin, and their legacy may have been agriculture, weaving, sheep, and ceremonial traditions. Yet others, the way Warburton and Begay tell it, may have come directly from the now-ruined Anasazi pueblos. We want to stress that ‘‘Navajo culture and identity,’’ like all culture and identity, is an evolutionary process; that is, Navajo did not always equate to Gobernador Polychrome, hogans, or any other traits used by archaeologists today to define Navajo. Quite right. Cultures change, and “ethnicity” is not necessarily deducible from material culture. 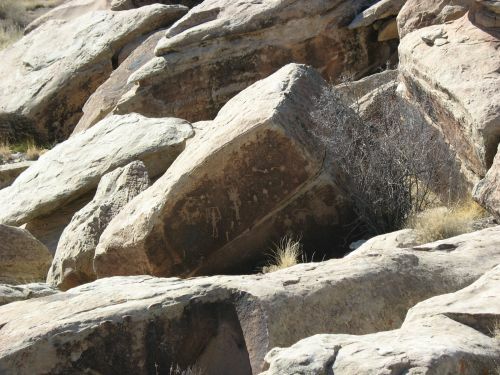 Many archaeologists are tied to a trait list that they believe defines ‘‘Navajo’’ sites, and even the most open-minded archaeologists and ethnographers have thus far been unwilling to recognize or accept ‘‘non-Navajo’’ Navajo traits. With respect to architecture, if Navajos were highly mobile during this time, we should not expect to find hogans. Ephemeral brush structures would have been their shelter, and these would not be preserved in the archaeological record. We assert that the ethnic divisions and boundaries drawn theoretically by archaeologists do not hold up in the same way in practice. The practical reality in the Southwest for centuries has been an intermingling of peoples, through competition, religious ceremonies, intermarriage, and economic necessity. Archaeologists study material culture. That’s what they do. Archaeological theories of ethnicity, therefore, tend to be based heavily on material culture and collections of traits. Ethnography and ethnohistory, however, have clearly shown that material culture doesn’t necessarily correspond to ethnicity. Different ethnic groups can have similar physical lifestyles but quite different languages, religious practices, or other aspects of culture that set them apart from each other. Similarly, groups can practice very different lifestyle but share other aspects of culture that they may consider more important in defining their identities. And all of this is in constant flux, particularly in the Southwest. The Navajo are, in fact, practically a paradigm case of the malleability of culture and ethnicity. The “traditional” Navajo lifestyle that now seems so timeless is actually very recent in origin, and understanding what, if anything, it meant to be “Navajo” before that is basically guesswork whether it’s based on material culture or oral history. may better explain the archaeological data concerning demographics and abandonment. They’re talking here both about including oral history in archaeological interpretation and about keeping an open mind about possible contact between the Navajos and the Anasazi. Throughout their article they have presented a sober, serious case for both of these. This is, to put it mildly, not the Stein/Blackhorse approach. So where does this leave us? Are Warburton and Begay right about Navajo-Anasazi contacts? Probably not, but they certainly could be. Are Stein and Blackhorse right? No, their theories are still crazy for all sorts of reasons. 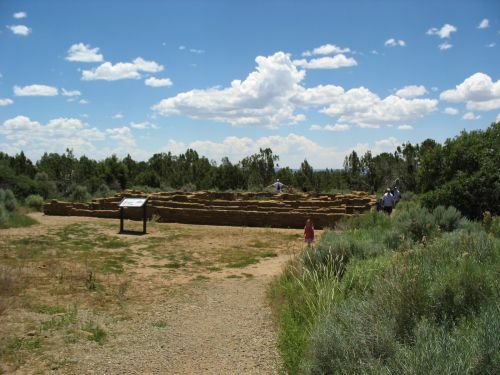 Were (some of) the Chacoans Navajo? Not in the modern sense, certainly. Did any of the Chacoans speak Athapaskan languages? Probably not, but there’s not actually any way to tell based on the data we have now. Are (some of) the Navajos today descended from the Chacoans? Yes. Is the Navajo Nation right to claim to be culturally affiliated with the Chacoans? Hard to say. What does it mean to be Navajo? Everything and nothing. It all depends on how you look at it. After a longer interlude than I was intending (it turns out graduate school is a lot of work! ), I have more to say on Keith Kloor’s Chaco article. I have two major criticisms of it, and while they’re closely related, I think it will be easier for me to express them clearly if I put them in separate posts. Thus, this post talks about one issue, and a later post will talk about the other, which I think is probably more important. The issue I want to address here has to do with one of the major themes Keith uses to structure the article: identity. 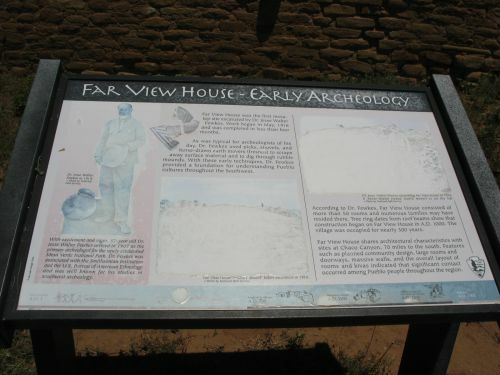 He puts the controversial theories espoused by John Stein and Taft Blackhorse about the relationship between the Chacoans and the Navajos in the context of recent disputes between the Navajos and other tribes, especially the Hopis, over Navajo claims to cultural affiliation with many of the archaeological sites in the Southwest that archaeologists generally identify as being ancestral to the Pueblos but not to the Navajos. This is definitely a major issue, although I think it probably has more to do with contemporary intertribal politics than with issues of cultural identity. So the claim here seems to be that the Pueblos and the Navajos both claim to be the descendants of the Chacoans, and the archaeologists, judging from the evidence they have accumulated through their research, side with the Pueblos against the Navajos. If you look carefully at the article, though, this isn’t really what it says is going on. Probably the best way to think about this is to ask who is claiming what about who the Chacoans were and who their descendants are. The position of the Pueblos, especially the Hopis, is clear: the Chacoans were Puebloans, and their descendants are the modern Pueblos. All the Pueblos claim some connection, although some are more specific and forceful about their claims than others. Most archaeologists basically agree, although they are rather vague about the specifics. 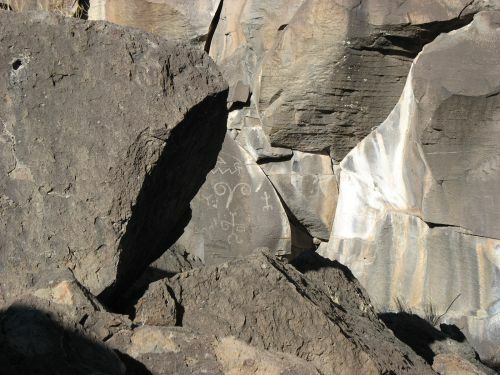 The Park Service, through its decision designating the Navajos as one of the tribes with an “ancestral affiliation” with Chaco, is claiming some sort of connection involving descent, although again the specifics are vague. The only people claiming a really strong and specific connection between Chaco and the Navajos are John Stein and Taft Blackhorse. 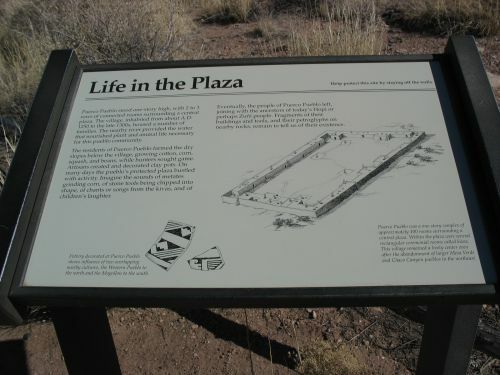 They say that the Chacoans were Navajo, although they acknowledge that Puebloans were involved too, and that the modern Navajos are therefore directly connected to Chaco by virtue of being the descendants of the people there. The implication is that they speak for the Navajos in general, and that the Navajos therefore make the same claim. But do they? Well, yes and no. The answer to the question “Do the Navajos claim to be descended from the Chacoans?” really comes down to two more questions: “Which Navajos? Which Chacoans?” The Navajos are a diverse people with a population of about 300,000 divided into about sixty clans, each of which has its own origin story. Some of these stories clearly claim that the clan was originally Anasazi and joined the Navajos at some point, and a few name specifically Chacoan sites as part of the story. So members of those clans, assuming they believe the origin stories, certainly believe themselves to be descended from the Anasazi or from the Chacoans specifically. 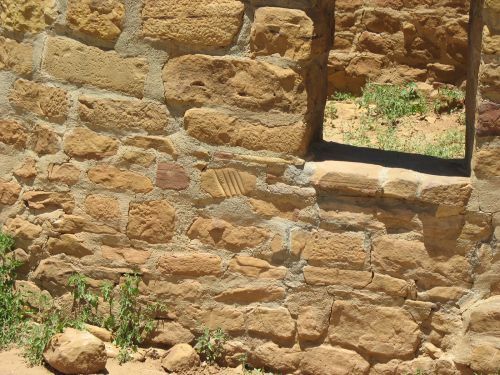 Some clans derive from quite recent migrations of people from various Pueblos within historic times, so if the Pueblos are considered descendants of the Chacoans members of those Navajo clans must also be so considered. Even below the clan level, many Navajos today are descended from women (usually) who were captured in raids on Pueblos in the nineteenth century, or from other sorts of individual-level intermarriage events in the very recent past (i.e., involving specific, named individuals from the Pueblos). In one sense, then, “the Navajos” certainly claim descent from the Chacoans, and at least some do so in a way that even the most skeptical southwestern archaeologist would accept. That isn’t all of the Navajos, though. 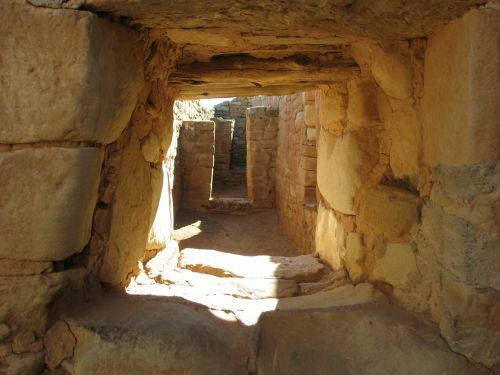 Plenty of clans don’t claim any Pueblo or Anasazi connections, and many members of those clans would probably not claim to be directly, personally descended from the Chacoans. 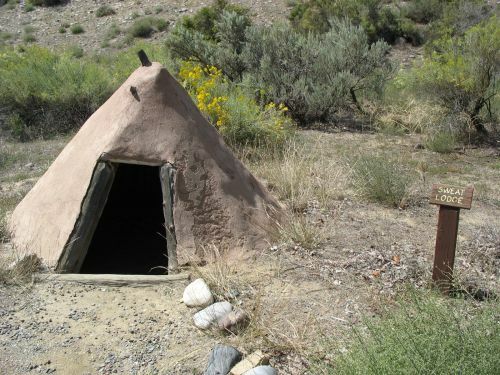 There are still the more general traditions about contact between the Navajos and the Anasazi, some of which, like the Gambler story, mention Chaco specifically, so even if there isn’t a relationship of direct descent, most traditional Navajos probably still believe that they have a close connection to Chaco based on their oral traditions. This is where Taft Blackhorse comes in. Keith describes Taft’s theories as “straight out of Navajo oral history,” which they are, but Navajo oral history is a complicated, multifarious thing, and there is no one canonical version of any of the stories. Note that the clan traditions I mentioned above mostly don’t fit Taft’s theories: they generally posit a sharp distinction between “Anasazi” or “Pueblo” and “Navajo,” with the clan starting out as one and ending up as the other. Even just sticking to the Gambler story, several versions have been recorded by anthropologists over the past hundred and thirty or so years, and while they all bear many similarities in their overall structure, they also differ considerably in both details and tone. To give a concrete example, the version recorded by Washington Matthews in the 1880s differs from Taft’s version not in the overall sequence of events, but in the way it presents them. While in Taft’s version the Gambler and most of the people he enslaves are implied to be Navajo, granting that there were also some Puebloans around, in Matthews’s version the Navajos show up at Chaco only after the Gambler has been there for some time and successfully enslaved many of the Pueblos. They witness him enslave the people of “Blue House” (usually identified with Wijiji), then cooperate with a variety of animal spirits to overthrow him by outgambling him. In this version, which is interesting and which I will discuss at greater length at some point, the cultural distinction between Pueblo and Navajo is clear, although both groups are present, and this is typical of most Navajo traditions about the Anasazi, as discussed in an important paper on this issue which I will talk about more in my next post on Keith’s article. I’m not saying Keith got anything wrong, exactly, in the way he wrote the article (well, except for one thing). In general, what he says is accurate as far as it goes. The problem, though, is that he seems to want it to go further than it really does. There certainly are complicated and contentious issues about identity and history surrounding Navajo claims to affiliation with Anasazi sites, but John and Taft aren’t really central to them in the way that Keith implies. While he is quite right in noting that they are very far out on the fringe of archaeological thought, it’s important to note that they’re pretty far out on the fringe of Navajo thought too. There certainly are Navajos who agree with their theories, at least in part, but I doubt there are very many who buy the whole thing. There are too many other traditions out there, and they can be interpreted in too many ways. If there is a problem with Keith’s article in this respect, it’s in the lack of other Navajo perspectives. Taft is the only Navajo quoted or even mentioned by name in the piece. That’s not necessarily a bad thing, but it’s important not to take him as a representative of the Navajos as a whole. He doesn’t speak for the Navajos. No one person can speak for the Navajos. But who are the Navajos? What does it even mean to be “Navajo”? That’s a crucial question, but one that will have to wait for the next post.